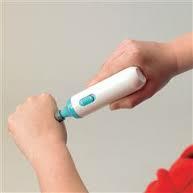 Hands-On-Care, specializing in shoulder, elbow, wrist, and hand therapy. Scar tissue is tissue that forms in an injured area of our bodies and stays there after the injury has healed. It replaces cells that have been destroyed and may appear both inside the body and on its surface. Scar tissue on our skin looks different from the surrounding area and is often known as a “scar”. Scar tissue on skin or on an organ or internal structure acts as a barrier and protects the place that was injured, but it lacks the functionality of the original tissue and has low elasticity. Formation of scar tissue is a normal activity in our bodies and occurs whenever we have more than a minor injury. However, some scar tissue may be abnormal or may cause cosmetic or more serious problems. Some people develop hypertrophic scars on their skin, which are larger than normal scars and have a lumpy appearance. Keloid scars are raised scars that spread beyond the wound and continue to grow. Atrophic scars are sunken scars that form depressions in the skin. 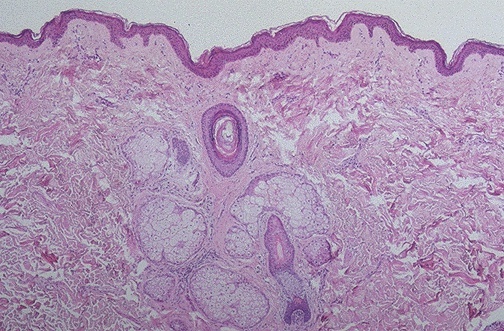 An adhesion is a band of scar tissue that forms an unnatural connection between different organs or internal body structures. Scar tissue formation inside organs or body structures may cause serious problems, since the presence of extensive scar tissue interferes with the organ’s function. Scar tissue is made of fibrous connective tissue. This tissue contains a fibrous protein called collagen, as well as long carbohydrate molecules called polysaccharides, water and cells called fibroblasts, which make the collagen. Fibrous connective tissue is also known as dense connective tissue, because the collagen fibers are densely packed in a roughly parallel arrangement and there are comparatively few cells present. Fibrous connective tissue is a normal component of the body and is present in uninjured areas. However, researchers have discovered that the connective tissue in scars has a slightly different structure from normal fibrous connective tissue. Scars may be caused by wounds, burns, surgical incisions, physical injury, chemical injury, infections, diseases, inflammation and acne. Scars on the skin are red when they are first made due to an increased blood flow as the wound heals. Over time, the blood supply decreases and the scar becomes paler than the surrounding skin. Scars may take many months or even years to reach their final form. Skin scars are thicker than their surroundings. The scar lacks hair, sweat glands and melanin, the chemical which protects the skin from ultraviolet radiation. In a hypertrophic scar too much collagen is made, and the scar forms a raised area or lump above the wounded area of the skin. The lump is often pink in its early stages and may be itchy. Keloid scars grow beyond the wound, forming a reddish tumor. This tumor is benign (not cancerous) and consists mainly of collagen. Keloid scars may form as a response to injury, but in some people they form spontaneously, with no known cause. They may be itchy and create a burning sensation. The first structure that forms in a wound is the blood clot, which prevents blood loss. The blood clot may be replaced by scar tissue. Skin scarring can be reduced by making sure that the edges of a wound are brought close together during the healing process. When the edges of a wound gape, scar tissue will be formed to fill in the gap. Good dressings, good nutrition and appropriate medications, such as antibiotics, can help protect and defend an injured area, but the amount of scarring and the final appearance of a scar depend mainly on genetics, the way our individual body works and our age. Older people tend to scar more easily than younger people. Their bodies are less likely to form enough normal skin cells to replace the ones that have died in an injury. We can help our bodies decrease scar formation but we can’t avoid it completely. Surgeons are well aware of the body’s tendency to scar and often try to make their incisions in a direction or a place that will minimize this process, or that will minimize the scar’s visibility. Scars on the skin can’t be completely removed once they form, but they can be treated to improve their appearance, sometimes very significantly, and make them less noticeable. Scar treatments generally require weeks or months to be effective. Most scars fade to some extent on their own as time passes. Pressure applied to a scar or silicone sheets placed over the scar often improve its appearance. These treatments flatten raised scars and make scars paler. Doctors may inject corticosteroids into a raised scar to inhibit collagen synthesis and reduce inflammation. Surgical techniques can remove some scars, but the body may make a fresh scar as it heals itself from the surgical wound. However, the new scar may look better than the old scar. For the Plastic Surgeon our Certified Hand Therapist can offer treatment to your patients who have developed Hypertrophic Scar or Keloids with certain plastic or reconstructive procedures or burns. Modalities like Heat and ultrasound to help diminish the look of the scar and improve function. Depending on the need we may also provide certain exercises which would enhance the extensibility of the scar and prevent adhesions. 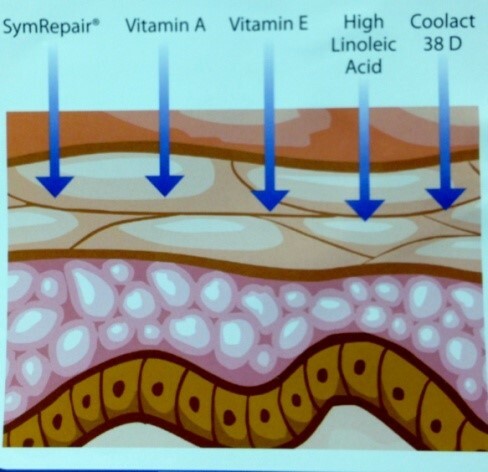 At Hands-On-Care, we help restore skin to a more normal texture and color with the aid of our treatment techniques and Helps smooth, soften, and flatten scars. We helps you restore your skin to a more normal texture and color and smoothen, soften and flatten your difficult scars. Injuries that penetrate the thickest layer of the skin often result in the formation of scar tissue. 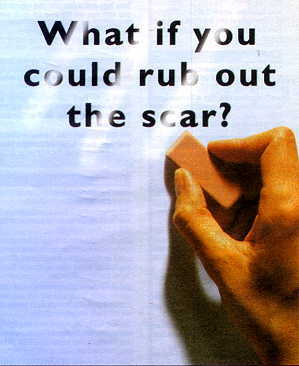 Scars may follow a normal course of maturation and resolve to an acceptable state, or they can become abnormal. Any delay in healing may predispose a person to abnormal scar formation. Hypertrophic or keloid scars are considered abnormal. Hypertrophic scars are raised, thick scars that do not extend beyond the border of the scar. Keloid scars invade into adjacent normal tissue with increased color, thickness and height. These scars are disfiguring and can lead to a decrease in function, especialy if the joints are involved. The aim of therapy is to soften, flatten, smooth out the scar and normalize the color of the scar. Hypertrophic scars usually occur within the first six to eight weeks after the skin heals from an injury such as a burn or surgical incision. The scar continues to change or remodel over the next one or two years. Hypertrophic scars are more common when healing is delayed. The exact cause of this abnormal scarring is unknown. Keloid and Hypertrophic scars continue to be a widespread problem in particular for adult and child survivors of burns and individuals with darkly pigmentened skin. Dermatologists and other cosmetic surgeons have an array of treatment options for improving the clinical appearance of hypertrophic and keloid scars. Recently, silicone gel sheeting has been found to prevent and improve these scars. 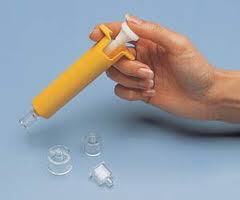 Silicon gel sheets are thought to work by hydrating the scar tissue. Rehydration softens the scar, thereby making it more flexible and improving the natural repair and flattening process. Other management techniques include further surgery, which may be self-defeating, especially when scarring results from previous surgical intervention. Pressure garments and the use of locally injected steroids (cortisone), surgical removal, radiation, emolients and massage, laser or cryotherapy therapy may also be used. Silicon gel sheets are becoming the first line of management for hypertrophic and keloid scars because the therapy is relatively inexpensive and easy to use. 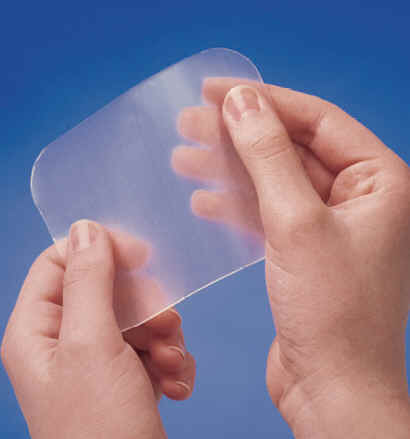 New and long standing scars can be treated with silicone gel sheets. Silicon gel sheets are generally well tolerated and local skin irritation rarely occurs.